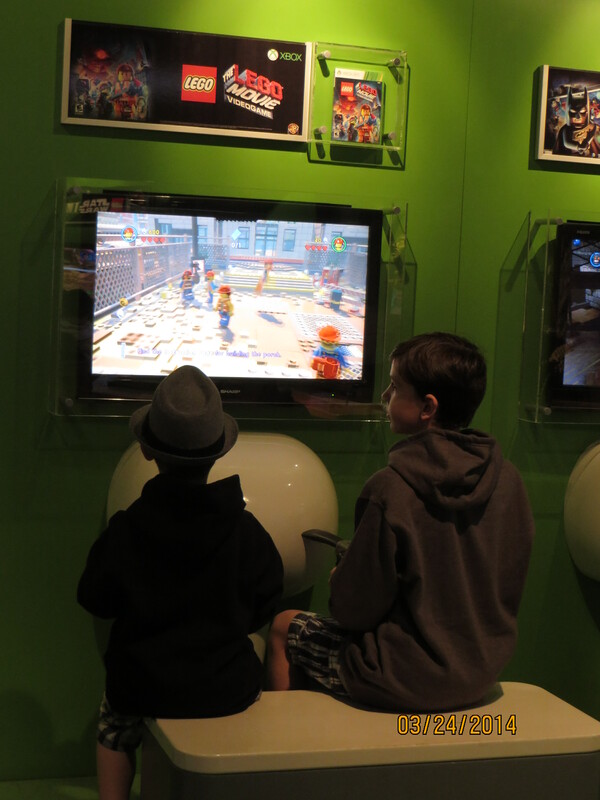 With all the things to see and do, the youngest chose to go into the video game building and play xbox 360 games with his brother. A game they could have played at home. Oh sure they got to sit about 2” from a 40” screen, but the prettiest girl in the world and I had to shake our heads. A video game they could play at home? The prettiest girl in the world put a 5 minute mommy limit on that! So we went to … the very next building beside us. A place where robots are built. Wait, not robots, Joe!!!! 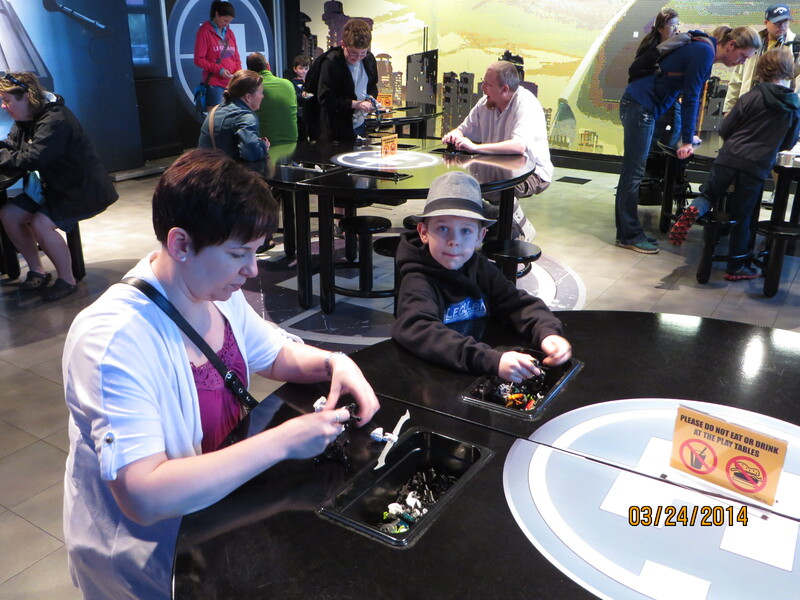 It was the Lego Hero Factory. Where they, ah, build robots. No matter what the boys call them. We all gathered around a round table. Inside a deep box built into the table was all we would need to create a ‘robot’ that could crush the world. No one seemed interested in building one that would save the world. No. First order, build one that would beat everyone else at the table. Next, crush the world. The oldest built his with incredible speed. Like a master builder. Like he should do this for a living. 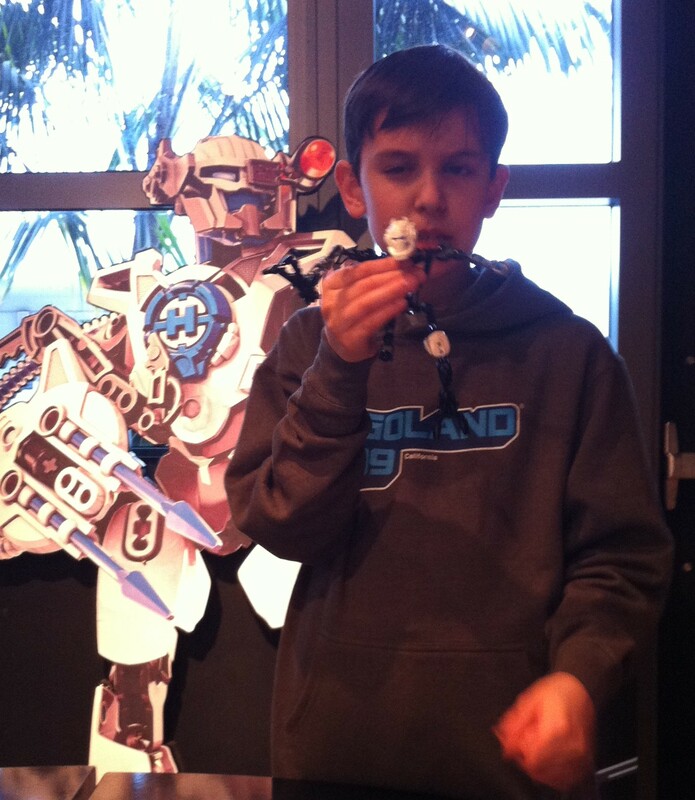 And, if you think about it, it doesn’t make any difference if I built the world’s greatest robot (and I totally did! ), if it was destroyed in the factory by a lesser, but more quickly built bot. This is a lesson the Russians taught the Germans in WWII. The Prettiest-girl-in-the-world built, well, a pretty one. Color coordinated. Balanced. Good use of contrasts. The youngest, well, he ended up not building anything. He went over and took a completed one from another table. It was then that I realized, I was far from the smartest one at the table. Then we were off to the park, proper. We spun in the spinny ride while the Prettiest-girl-in-the-world took pictures. It was sort of like the Disney teacups so naturally I said we’d go so fast and spin so much that we’d make everyone else sick. It never occurred to me that I could make them sick as well until I stumbled off the ride like a drunken frat boy, all dizzy and trying not to fall on my face. God help me if I’d have made them sick! But it was a good test ride. If they could survive that, then the others wouldn’t be so bad. Or so scary. I think we were all a bit dizzy with what to do next. The oldest wanted to hit the rollercoasters and DEFINITELY go on the mummy ride. The youngest wanted to get wet in the worst way. The Prettiest-girl-in-the-world wanted to see the set of the lego movie and me, I wanted this to the best adventure ever. People blurred around us as we stood debating – A large family dressed all in the same t-shirt. A little one bundled up in stroller like it was winter in the Yukon. A dad walked by with his young girl wrapped around his leg and clinging on for life. 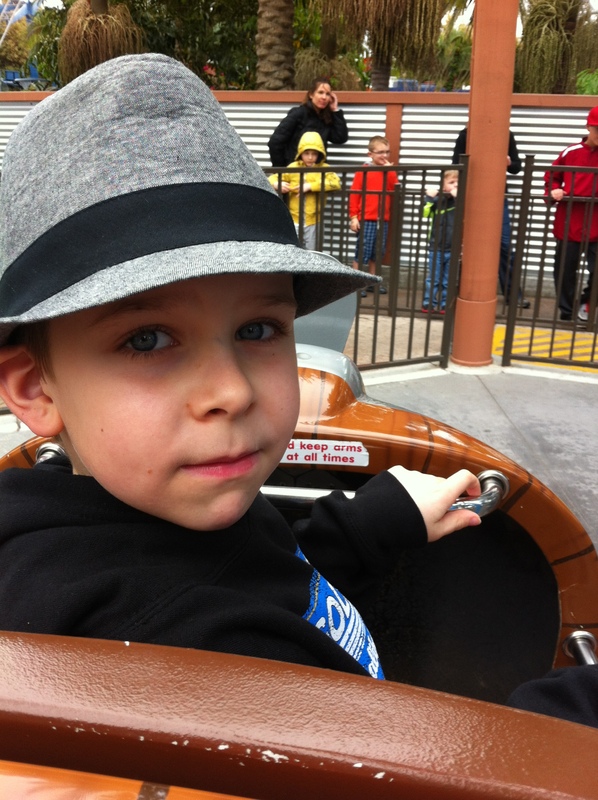 A mom held her too-young-to-go-on-that-ride son and pointed to their dad on a roller coaster. He waved widely as he zipped by. Smells wafted all around us as we made our way through the park. Popcorn that I can no longer eat, buttery and all popcorny. Fried onions and hot dogs. Cheezy warm pizza. Charring meat. Coconut sunscreen. All things I can no longer eat. Then we hit the first real disappointment. See, in all the videos and ads, they don’t show the lineups. We’d talked to the boys about this, but seeing one, standing in one for a half hour, well, that’s a whole other level of realization. 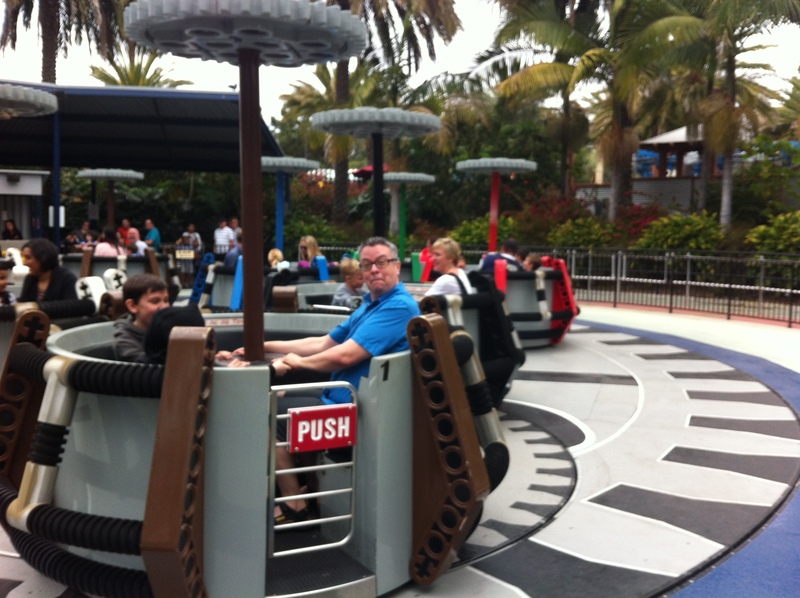 It’s frustrating to inch along while other people shriek with fear (or glee) on a ride you really want to ride. Like now. It’s worse, though, when, after waiting 20 min in line, the ride breaks down. That’s exactly what happened on the project X rollercoaster. I stood by, waiting for my camera moment, (not cuz, like, I was scared or anything… I’m not scared, really, I’m not), but when they declared a technical difficulty, that the rollercoaster was out of commission, the Prettiest-girl-in-the- world decided it may be time for food. We’d been there for 2 hours and basically done 2 rides, built some robots (ok, ok, Hero thingees! ), played video games and gone beserk in the toy store. We only had 4 hours left. 3, after food. Things would have to change if we had any hope of seeing what needed to be seen. And doing things that needed doing. 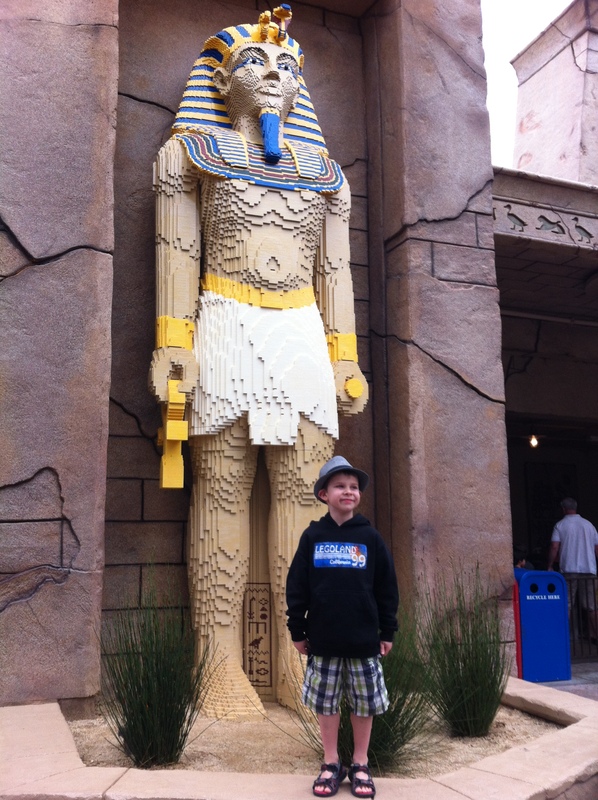 This entry was posted in Parenting, San Diego, San Diego Safari, Travel, Traveling with Kids, writing and tagged building lego hero factory, lego hero factory, lego movie game, prettiest girl in the world, Project X, project X rollercoaster, rides at legoland. Bookmark the permalink.